EXA, Profile/pipe extrusion, Solutions | Contrex S.r.l. 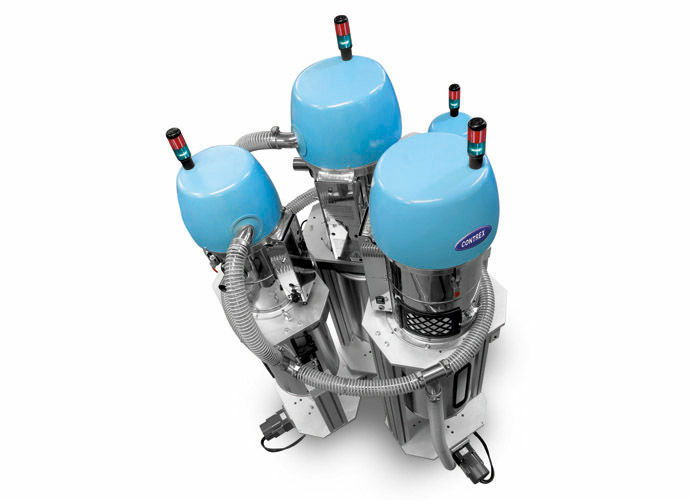 EXA is a multi-material, three-phase conveying system capable of managing up to six material receivers, with a smart suction unit and centralized high efficiency filter. It is based on the “one-wire” concept where a single wire connects all the receivers. In addition, EXA features a proportional valve for regrind material and a bypass valve to ensure consistent cycle efficiency. The loading system management is integrated in the dosing system control and creates a single interface for the operator, which can further be accessed via a wireless tablet connection.